2018 NAPOLCOM PNP Extrance and Promotional Exam Schedule - Exam News, Reviewer, Military Career, & Everything [MN] . . 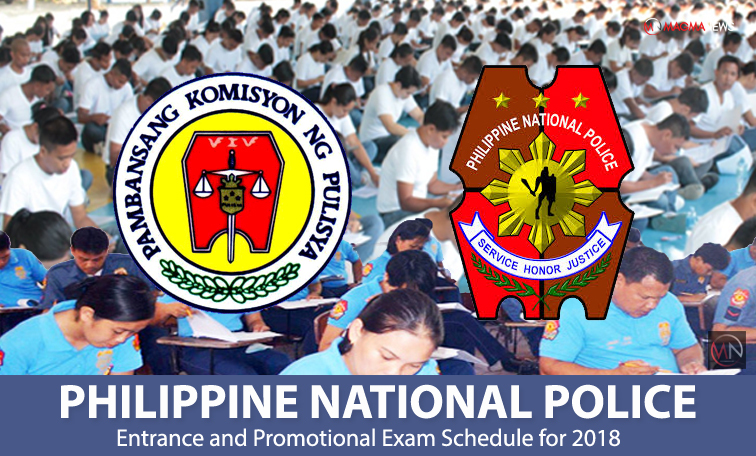 The schedule for this year's Philippine National Police Extrance and Promotional exam is now available as announced by the National Police Commission (NAPOLCOM) Applicants through their general information website. The National Police Commission usually conducts two sets of police examinations twice a year, one for those who are already in the police service (promotional), and another for those aspiring to enter the Philippine National Police (PNP entrance). Need an additional guide for the upcoming NAPOLCOM exam? Don't miss our free reviewer, download it here.